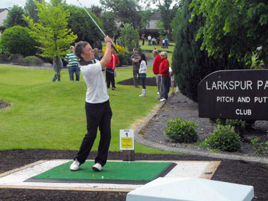 Larkspur Park has been selected as one of the 20 best sports clubs in the country in a competition run by the Irish Times. The club was nominated by Rosemary Maher and has a chance to finish first. The result will be announced next week. Club: Multisport club serving young and old.